When I was a child, one of my absolute favorite foods was stuffed green peppers. 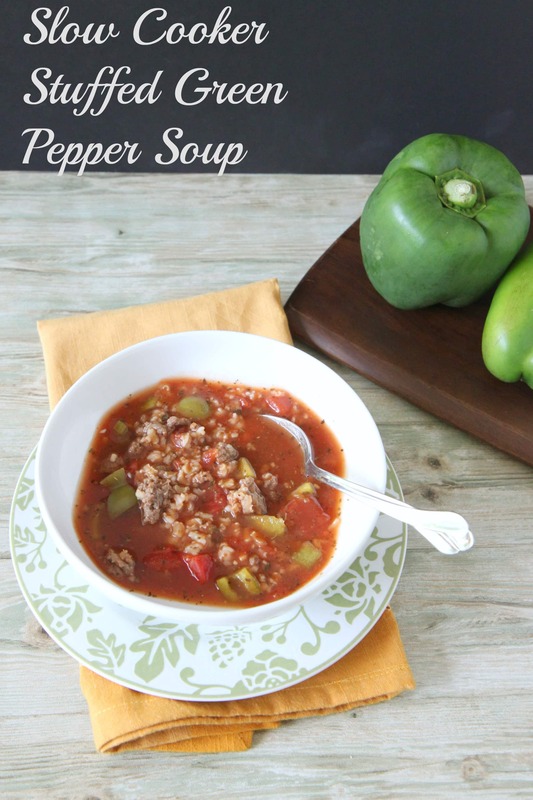 Stuffed green pepper soup is the next best thing to stuffed green peppers and offers all the flavors you love in a stuffed pepper, but in a rich tomato broth. 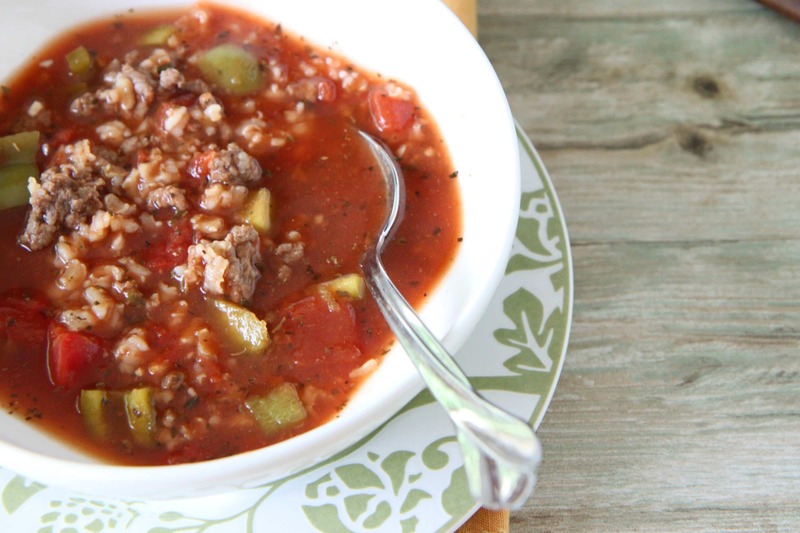 Once you make a batch of this stuffed green pepper soup in your slow cooker, you will want to make it and eat it over and over again. 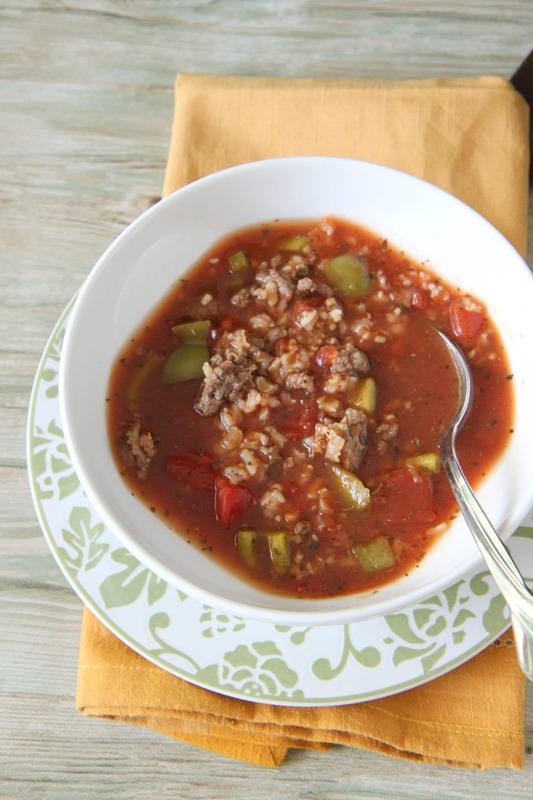 I wanted to create this soup for my slow cooker and fill it with my favorite stuffed green pepper ingredients- diced tomatoes, garlic, lean ground beef, and a hearty addition of brown rice. I prefer a combination of broths in this (beef and chicken broth) because it helps lighten this hearty soup. I also wanted this soup to cook itself since we have busy days with extracurricular activities in the evenings. This soup is a one pot wonder and can be served with a loaf of crusty bread for a busy weeknight. The leftovers offer a filling and satisfying lunch as well! 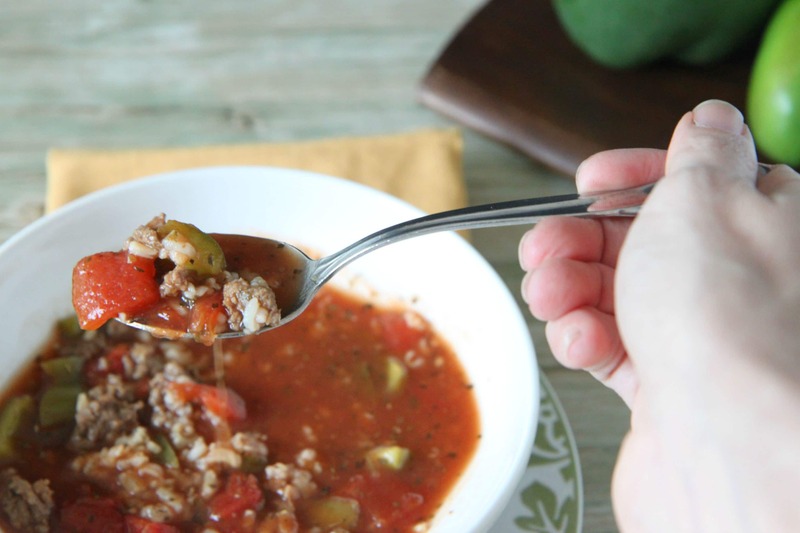 I hope you will love this soup as much as I do! It will be a recipe repeat for me and is a great soup to be doubled and shared with friends! 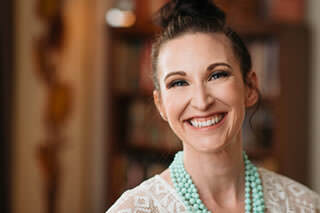 Love your slow cooker as much as I do? Be sure to check out my 30 Days with Your Slow Cooker article for thirty ideas for weeknight meals all month long!